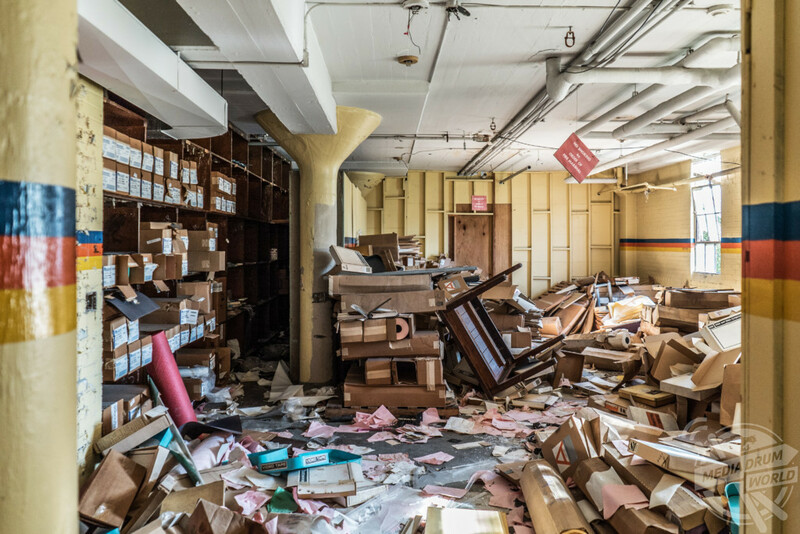 HAUNTING new photos show how a once thriving US city looks years after a disastrous decline. 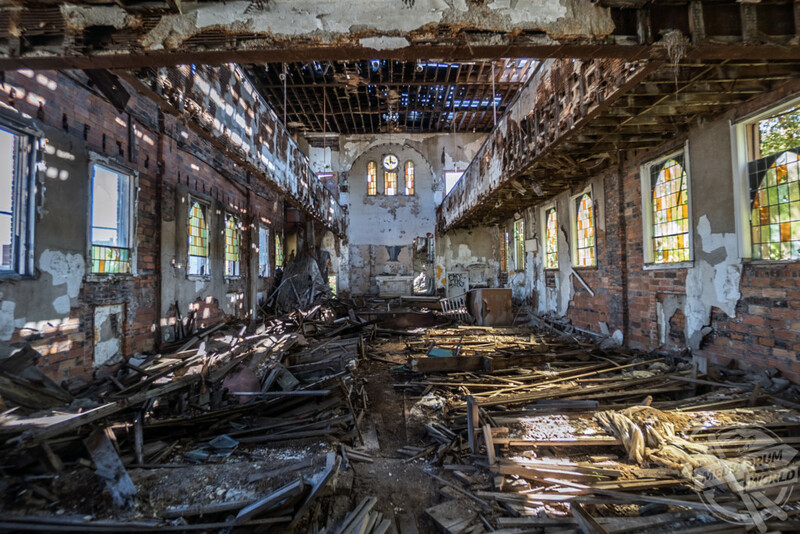 An eerie series of shots of modern-day Detroit include dusty shots of a dilapidated children’s centre, a spooky auditorium with all the seats ripped out, and the skeletal remains of a century-old synagogue. 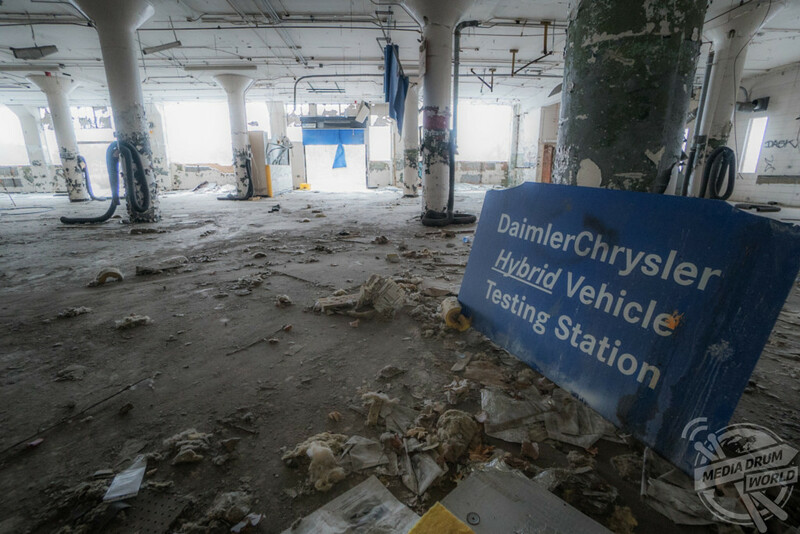 Another evocative shot shows a broken child’s kart in an abandoned and destitute car factory – a painful metaphor for the decline of the city which once prided itself on its automotive heritage as the birthplace of the Ford Motor Company. 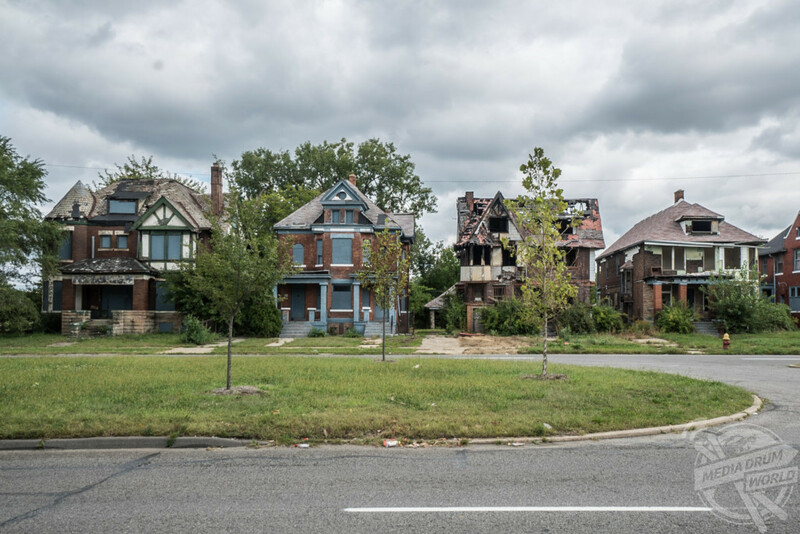 The reasons behind the rapid decline of Detroit in Michigan – which saw a catastrophic population loss of over 600,000 between 1950 and 1980 – have been well documented. Huge-scale riots, a declining automobile industry, an increase in violently criminal gangs, and natural disasters, such as ice storms, all played their part to cripple the former metropolis. Once an industrial beacon for the whole country, the city is now a byword for urban decade, filled with empty factories, derelict homes and a sky-rocketing crime rate. 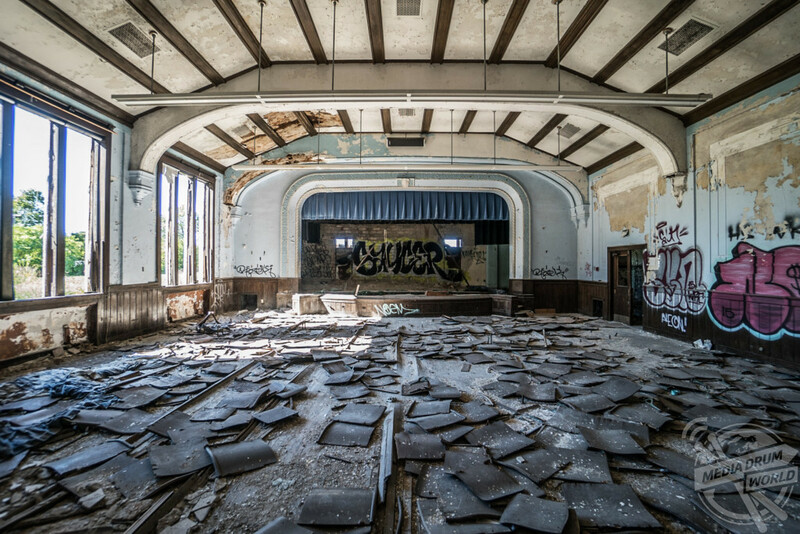 The scale of degradation is on show in Kyle Brooky’s new book ‘Abandoned Detroit’, scheduled for release next month. “Few cities have seen the rise and fall that Detroit has,” explained Brooky. 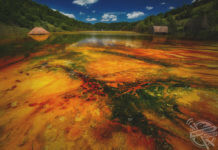 “Once a symbol of the nation’s industrialisation and growth, it has become a veritable ghost town. 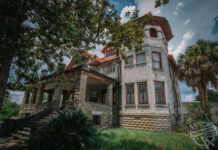 “It is estimated that there are at least 70,000 abandoned buildings, 31,000 empty houses, and 90,000 vacant lots. The drastic decline continues to this day. In 2013, the city filed for bankruptcy after its $18.5billion debt became unmanageable. 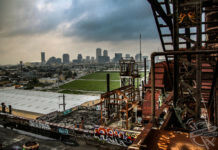 In 2015, Detroit dropped out of the United States’ 20 most populous cities for the first time since the mid-19th Century. There are green shoots hinting towards a recovery however, with the downtown area rejuvenated and Ford renovating Michigan Central Station in a project worth $350million. But for Brooky, it is important to properly document the roller coaster story of the city. 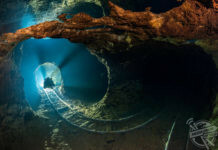 “While this book is in no means meant to be compendious, nor could it, I have attempted to include a variety of locations, both famous and unknown, to provide a rough sample of the many places that Detroit has to offer,” he said. Kyle Brooky’s ‘Abandoned Detroit’, published by Fonthill Media LLC and Arcadia Publishing, is set for release in March 2019. Available for pre-order here.